Have you ever followed a celebrity on social media? If so, then you have probably seen them post about a product they use. Sometimes it is a long-winded Facebook post about how using a skin care product changed their life, and sometimes it is as simple as an Instagram post with a specific beverage in hand. Do any of these sound familiar? If so, then you have experienced influencer marketing. The formula seems rather simple. Find a well-known celebrity, community influencer, blogger, or content creator that has favor with an audience that you want to reach, give them your product, and watch sales soar – right? While influencer marketing is a wonderful way to increase brand or product awareness while also laying a foundation for customer loyalty, quantifying the success of these campaigns is often difficult. However, in a study done by Launch Metrics, 62% of marketers surveyed said that they implemented an influencer campaign in 2016, and 88% stated that influencer marketing was effective in raising awareness about the company or its products. Why is Influencer Marketing Becoming So Popular? To put it simply, there is too much advertising noise and consumers are beginning to notice. More people are implementing ad blockers on their web browsers, skipping commercials on television, and blocking cookies from collecting data on their Internet browsing habits. Also, consumers are becoming more sensitive to businesses speaking for themselves. It seems superficial. Of course brands are going to say their products are the best, no one is going to admit otherwise and it would be ill-advised to do so. It is becoming more difficult to connect businesses with consumers because of these issues; but influencer marketing does something different, it does something to break through all the noise – it connects people with people. You see, influencers are able to promote companies or products to people like their best friend would do, or their mother, or their co-worker. Influencers have this unique ability to connect with their audience in a more intimate way than a television commercial, magazine spread, or banner ad. In the same study by Launch Metrics, 65% of marketers claimed that using influencers to promote a product was effective in increasing customer loyalty, and 53% claimed that influencer campaigns were effective at driving sales. Eighty-five percent of those same marketers said that word-of-mouth strategies employed on social media to raise awareness were valuable. When does Influencer Marketing work? Much like any other form of marketing, utilizing an influencer to promote a product or service works best when the content seems organic. There is nothing more eye-roll inducing than obvious product placement or a less-than-genuine brand endorsement. Influencer marketing truly works best when the product matches the influencer and the influencer’s audience. It doesn’t make sense for a mommy blogger to endorse a five-star, exclusive restaurant because her audience is probably not in the market for that kind of eatery. What makes more sense if for that same mommy blogger to endorse a family-friendly, healthy restaurant. Where do Influencers Make the Biggest Impact? Influencer marketing is a great tool for generating brand awareness or buzz for a new product or business. Like stated before, influencer marketing works because their followers trust them like they would trust their friend; unlike traditional advertising which cannot muster the same authenticity. 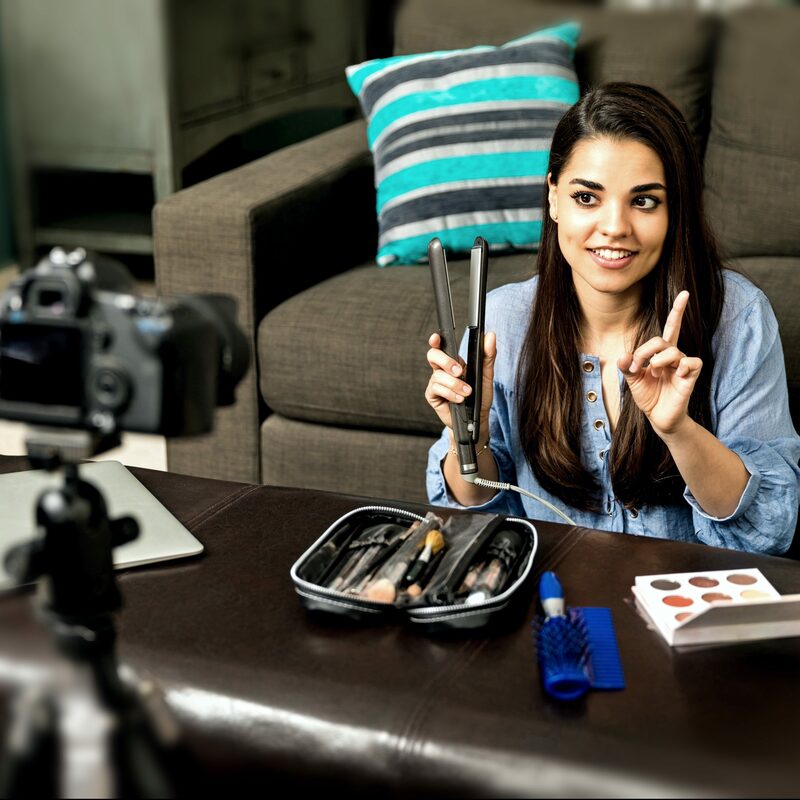 When an influencer posts about a new makeup brand they tried, or a car part that changed the way their car ran, it seems more genuine – like they actually want their followers to benefit from the product like they did. This kind of relationship between influencer and follower creates brand awareness and loyalty for products before the consumer even tries it because someone they admire uses the product themselves. The same goes for events. Let’s say you are hosting or sponsoring a weekend-long auto show that has some incredible classic cars as well as new concept models. If you invite an influencer to come to the show, and they take a picture and post it to their social media, it will create a lot of buzz about the event which may in turn lead to more ticket sales.